The original Mini has many variants built all over the world. They were produced in Canada, Japan, Australia, Italy, South Africa and Spain as well as the United Kingdom. Shown here is the early Italian made Innocenti Mini along with a later model with roll up windows and a fancier dashboard. 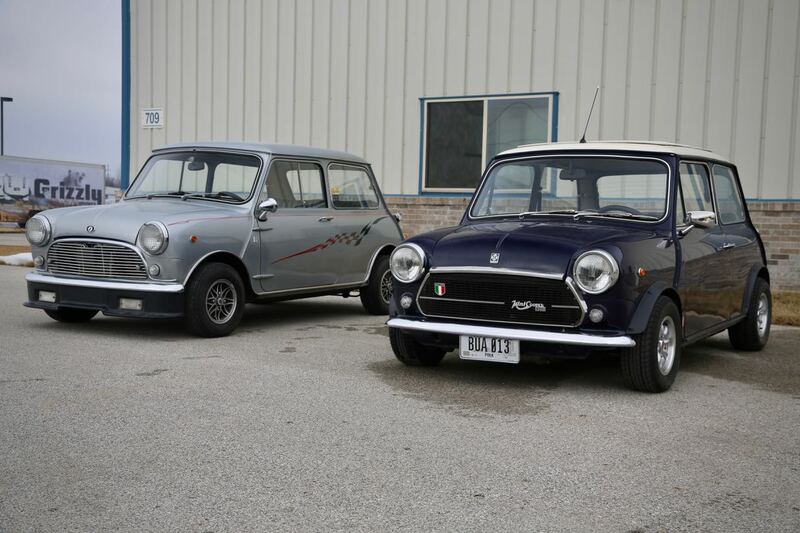 This entry was posted in British, Italian and tagged Cooper, Innocenti, Mini, Skunk River Restorations by admin. Bookmark the permalink.